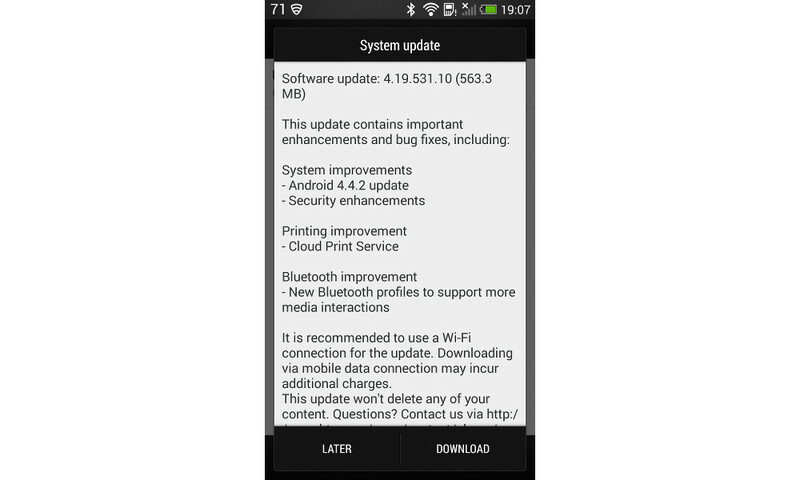 HTC told us earlier in the day that they had received “technical approval” on the Android 4.4.2 “Kit Kat” update for both the T-Mobile and AT&T variants of their 2013 flagship, One. Within the last hour, the T-Mobile variant began receiving that update. If you own the HTC One on T-Mobile, head into Settings>System updates to try and pull it. The build number appears to be 4.19.531.10 and is 563MB in size, according to the screenshot above.